Timber flooring adds a distinctive touch to a home. It offers durability, attractiveness and an easy-to-clean flooring surface. 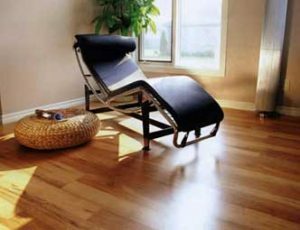 Timber flooring is a beautiful and natural product that sets it apart from other floor coverings. It is warmer than tile but more polished than carpeting, and many homeowners choose to install their own timber floors by themselves. Now new fabrication methods and installation tools and techniques make it easier for a homeowner to install a timber floor. The most common method for installing timber flooring of any type involves nailing the planks to a plywood subfloor. For those learning how to install timber floor, there’s no simpler technique than the nail down technique. 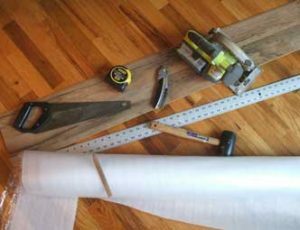 Unlike other methods which basically require you to be an amateur carpenter or even a professional carpenter, the nail down method on how to install timber flooring can be accomplished by anyone who can swing a hammer. Special flooring nails are used along with a flooring mallet to prevent splitting in the planks from excess vibration. A large pneumatic stapler lets you shoot staples from the gun that are used to secure timber flooring to a graded plywood subfloor. Due to their high price tag according to Hammer Zone, These machines make quick work of installing timber flooring but must be rented from a home improvement store. If there is an existing tile or timber flooring in your house already, and you’d prefer not to remove it, adhesives allow you to install your new timber floors over them. 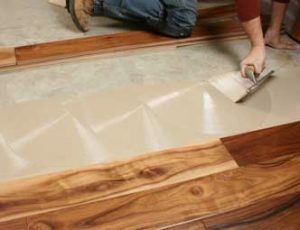 Only if the subflooring and current flooring material is sound and smooth, the adhesives will adhere correctly, and this method requires vapor barriers. Floating timber floor installation allows you to install flooring into your home, business or other type of building that is not nailed to the actual floorboards in your home. Floating planks lock together and rest on top of another flooring material or a cork pad. Often, they simply snap together or sometimes are glued in place. Only engineered timber flooring is suitable for this installation method.